The only player on the field that plays harder than you is Smith's Discord Chromapop Polarized Sunglasses. 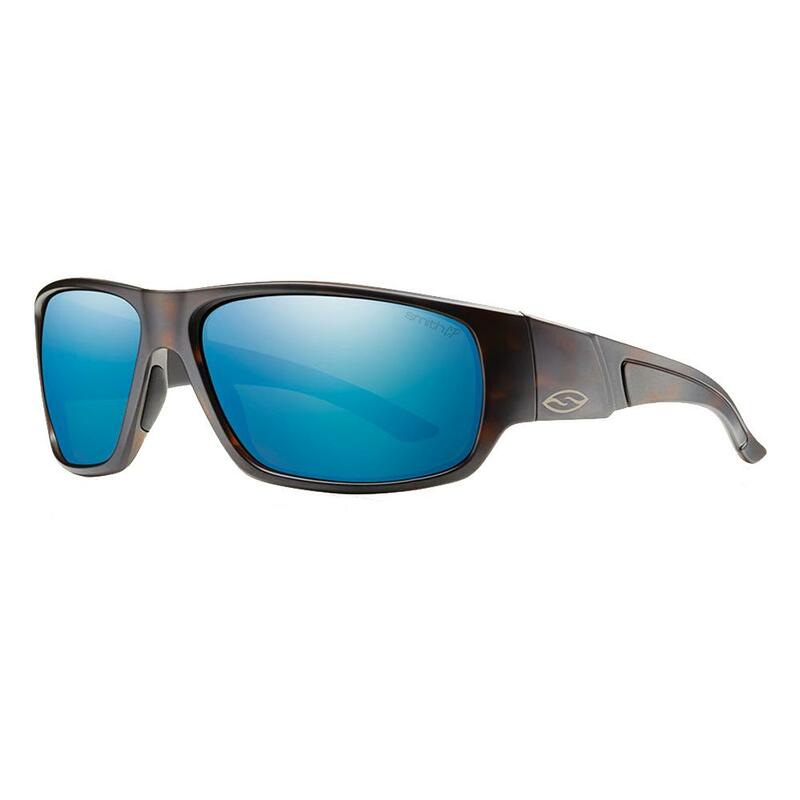 These sharp, sturdy glasses swat the sun from every angle thanks to a generous 8-base wrap and broad temple design. The hydrophilic megol nose and temple pads keep the glasses firmly in place no matter how hard your heart is beating and sweat are cascading. ChromaPop™ lenses provide the clearest vision of the ground, water or sky ahead. I am a lifetime Smith customer- all of their products are solid and they have the best return/ replacement policy if anything ever goes wrong. I highly recommend Smith Optics! Looking throw these polar lense the colors are so vibrant and sharp. I was really excited about trying out the ChromaPop+ lenses and especially interested in the claim of high contrast and that things would "pop" with enhanced clarity and definition. Compared to the glasses I had ("580" green mirrored glass lenses) the ChromaPop+ were a little lighter in tint and had more of a flat brownish color, the 580's having a more rosy color. I think that the contrast of the CP+ lenses isn't as good as the other glasses I have, but their polarization is very good. I fish in waters that vary from crystal clear blue, to tannin stained red, to turbid and brownish. I think the CP+ glasses will serve well in more subdued light, early morning/evening and overcast conditions and in waters that have a more brownish tinge. I'll use my other glasses for midday fishing in clearer waters and driving. But,overall, I still like and recommend these glasses. So after two years of using my old Smith's constantly - I finally misplaced them (2 years is a new world record for myself btw). So today I went to Brave New World in Point Pleasant Beach, NJ and tried these on. I saw them on the website before I headed out to the store so I already decided I liked them, it was just a matter of how they fit & looked. I just got the regular polarized in tortoise. I've had them on all day. The fit is amazing and everything I look at through the lenses looks awesome. I also digged the Chromapop but can't bring myself to spend over $200 on sunglasses. These were pushing the envelope at $129+ tax. Hopefully I'll have these for at least two years as well. Fathers Day present 2016! Got them in South Lake Tahoe and drove home to Clovis, Ca the same day. WOW! The optics are out of this world! I did not Want to take them off! I cannot wait to get them out to some of my favorite fishing spots! I've been an Oakley guy for years but Smith has changed the way I see things for the better! (Pun intended). I gave my Oakleys to my son but he wanted to wear my Discords. No way, dude! Quality is worth every penny, especially when it comes to your eyes! Don't scrimp! Your vision can affect your attitude... Stay sharp! Thanks Smith Optics! These are fantastic unique shades.. The Matte Tortoise look super sweet in person and the optics are amazing. I have a Medium sized head and these fit perfect. I own a lot of smiths and these are by far my favorite. Nice job Smith!